Note: This whiskey was purchased by us for the review. 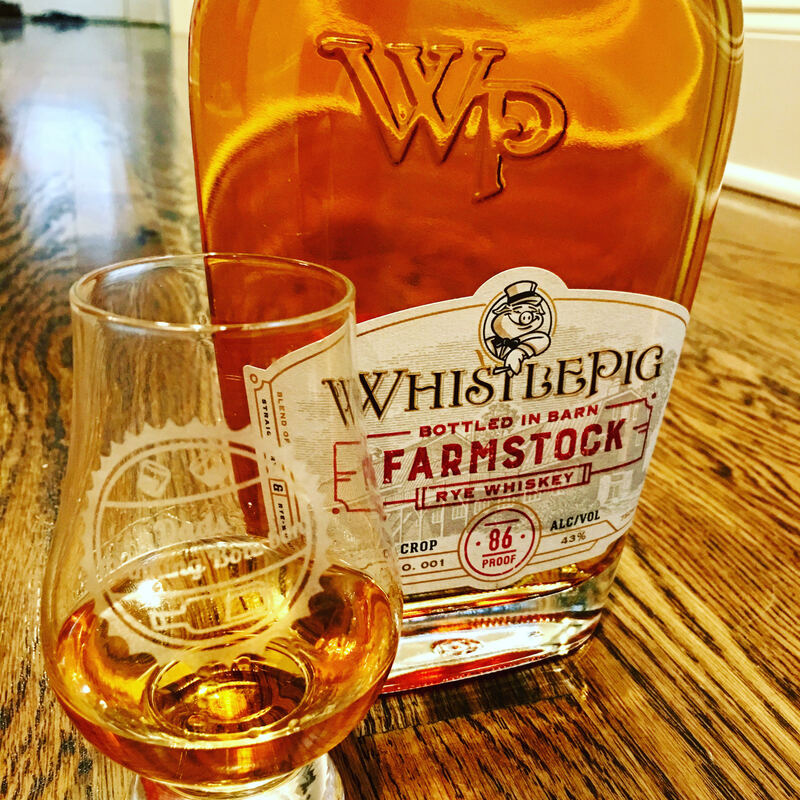 At no point were we given a sample or bottle by WhistlePig in order to create this review (although we wouldn’t have said no). No matter what, our opinions are always our own, honest, and hopefully helpful to you. I’m excited for this review because we haven’t featured too many rye whiskeys so far. However, if you’re interested in rye whiskey, check out our review of 13th Colony and Reservoir. South of Burlington and west of the capital of Montpelier, lies the small New England town of Middlebury, Vermont. Growing up, I had always heard of Middlebury because they had a great liberal arts college that my English teacher was always talking about, but Raj Peter Bahkta set out to change that for me. Of course, he had to wait about 5 years after I had already completed my exodus to the South to do it. Baktra bought a former dairy farm in Vermont in 2007 and then proceeded to buy a lot of Canadian whiskey to blend up and get WhistlePig off and running. What they were able to do with those blends has been pretty amazing and well-received by many staunch WhistlePig supporters. I, in fact, know many people who aren’t big rye fans that love WhistlePig. Even though it was sourced whiskey that started it all, Baktra always had a dream and a plan behind his farm. He enlisted Dave Pickerell as his master distiller to help him achieve his goal. That’s a pretty strong franchise pick if you ask me. Not only did Pickerell spend 14 years as a Master Distiller at Maker’s Mark, the guy has a tattoo of George Washington’s Rye on his arm! Seriously Dave, if you’re reading this, we need to hang out. Their goal at the farm was to create the first farm-to-bottle whiskey. The rye would be grown on the farm and distilled on-site. Everything from the oak barrels would come from materials found in Vermont to give it a local quality. Although their initial releases of Rye, Old World, 15 Year Rye, and Boss Hog were made from the sourced whiskey from Canada, the FarmStock would contain the first fruits from the farm. FarmStock ended up being a blend of their own farm-to-bottle rye (aged 1-2 years), with a 5-6 year rye, and topped off with a 12 year whiskey. Their desired result was to create a whiskey that matched the boldness of a new whiskey with the refinement that only age can bring. Nose: Abundant oak, vanilla, caramel, toffee, and mint. Palate: Caramel, cinnamon, and baking spices prevail with hints of citrus and stonefruit. Finish: Complex and enduring finish featuring winter fruit, dark chocolate, tobacco, butterscotch, and vanilla founded in classic rye spice. In full disclosure, I was going into this one with some reservations. I had heard mixed reviews, but also knew this was a young rye that was only 86 proof and it would set me back $90. I had my doubts, but was secretly hoping that this would surprise me considering how I liked the other WhistlePig releases. That being said, I really think they went above and beyond with marketing here. I’m really into their whole farm-to-bottle concept and couldn’t help but smile when I saw “Bottled in Barn” on their bottle. I love the packaging of this one with their barn in the background on the label and “Crop 001” being used instead of “Batch 001”. Their marketing team really deserves a raise for this one. Color/Appearance: The color is definitely light. It’s almost more yellowish than it is brown when it’s sitting in the glass. Almost makes you think it’s like the white wine of whiskeys. There are no legs in the Glencarin, which definitely adds to my feeling that this is very light both in appearance but also proof, etc. Nose: Smells young to me. I can definitely smell the oak and vanilla. If I hadn’t read the notes beforehand, I may have missed the mint but once I read them I really noticed it. Before reading, the best way I could describe it was that you were taking a hike in the woods in spring when everything is just starting to bloom and wake up from a winter’s sleep. The forest smells alive with live and the promise of the seasons to come. Then I was like ahhhh it’s the oak with the mint! Palate: Spicy citrus with caramel and toffee. It does not burn your chest, but tingles your mouth. For being a rye, this is a very sweet whiskey which is surprising because a rye typically has less sugar content than other whiskeys, but this is definitely sweet. I can definitely notice that this is a young whiskey. I don’t want this all to come across wrong though, it’s definitely an enjoyable and light whiskey. Finish: It left me wanting more but in a way like I was missing something. There was definitely vanilla and fruit with a hint of tobacco but honestly my tongue was mostly tingly and numb. Overall Verdict: There’s a lot of factors that come into play with this one. I definitely enjoyed it, but when price is involved, I’m not sure I can justify spending $90 on this one… yet. I think if they were to mature their homegrown whiskey to something a little bit older than the 1-2 years, this really has the makings of a great whiskey with a great story. It should also be noted that this offering is only 86 proof. Many people look for a premium offering to have a little more kick opposed to what FarmStock brings to the table. Where it is now, and especially what it would cost at secondary, I would have to say Sip It. Go and seek this one out at a bar where you won’t mind having a light, relaxing, and enjoyable whiskey. Maybe this one is a good one to start off with on a patio in the summer. I really hope they continue to work on this release though, because I’d be interested to see where it can go. The story is new, unique, fresh, and they have a great team at WhistlePig. I really think they can only go up from here. George T. Stagg vs. Stagg Jr.
Great read. I recently had the chance to try this thanks to Tom Fisher of bourbonblog.com. overall I was impressed and would recommend a try. Thanks for the review. Cheers! Cheers! We’re glad you liked it!